despite being told about 1T being beter (which it is) I got no noticeable improvement even though my ram was running at a higher freq. about a 5pt increse. 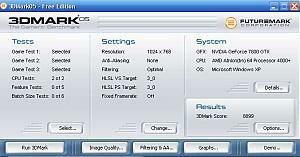 3dMark05 tries to remove the CPU and anything that affects CPU performance from the equation. It tries very hard just to measure GPU performance. I did however before doingthis looked up the diferance of 1t and 2t at DFI street. With me there was no differance. It might be that I removed 1gb or ram. Are you telling us you are comparing your system with 1Gb @ 1t with your system with 2Gb @ 2t ? I cound't resist just doing that. . WOndering hoe long it would take someone to realise something was wrong. 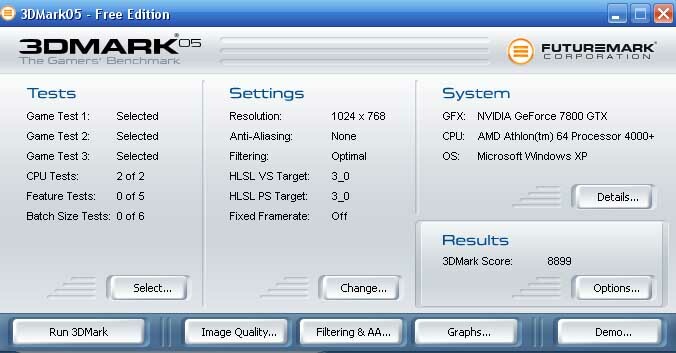 3DMark isn't really a RAM test. Might wanna try Sandra. UI'm too lasy to take it our again, my systems already ****ed since I did it last time.